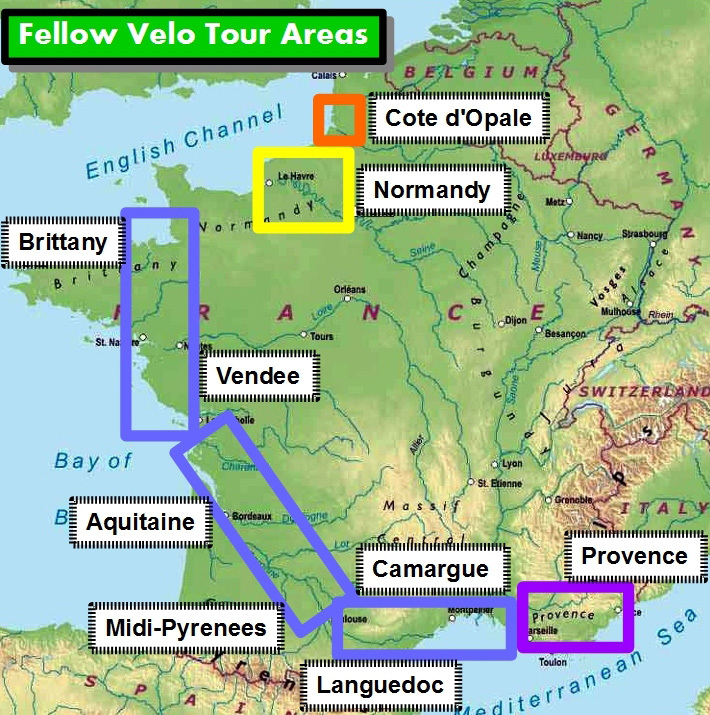 The adjacent map illustrates Fellow Velo’s Cycle Tour coverage of France. We offer fantastic, carefully developed Guided Tours in each area on the map. In the Tour Areas summarised below you can begin to get a feel for the region’s character and click a link within the description, that will take you directly to that Guided Tour Page. On the pages of the individual tours, you will find more detailed descriptions of the holiday experiences we offer and, illustrations to tempt your senses into a voyage of discovery. There are tabs on the left-hand side covering a Summary, Your Tour cycling itinerary, Eat Sleep Drink facilities, our Dates and Prices for the tour and, More Information to help you plan your holiday. There is also a dynamic Tour Map, with the overnight stops marked, which you can expand and play at plotting the possible course of the tour. We carefully research our cycling routes so, Google Maps will rarely suggest the same tracks, lanes and roads but, it may help to locate the tour more accurately in France and illustrated the likely terrain. An understandably attractive draw for lovers of the Mediterranean sun, with more days of sunshine than any other area of France. Provence also contains so much that is special about French language, culture and landscape. Our tours in Provence could be carrying you along the Riviera, have you rolling gently through undulating hills, waking in a sleepy hamlet or, relaxing for an evening in a perching village with fantastic views over ever receding vineyards. Whether you are drawn to the turquoise sea on Bed by the Med with the opportunity for a swim in the sea on every day or, into the heart of Provence on Hidden Provence with its slower pace and undiscovered secrets, you can start your tour from a vantage point overlooking the Provençale landscape and just gently dive in. 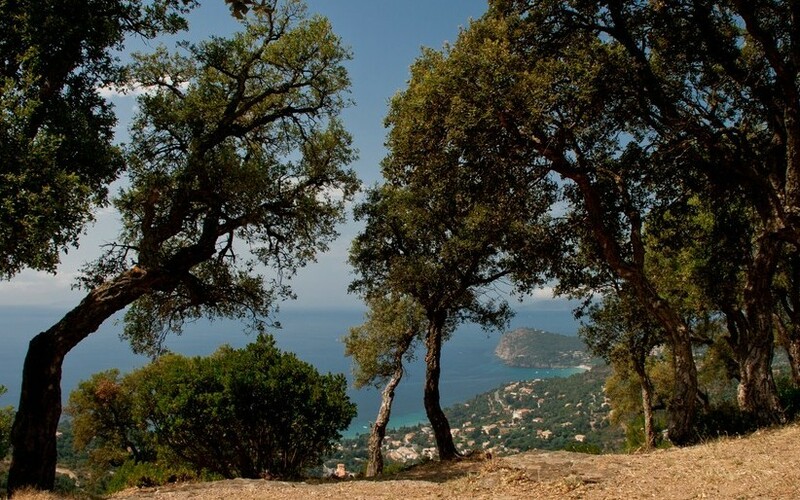 Alternatively, why not let us help you to combine it all on Hilltop to Harbours and see the great variety of Provence through its length and breadth. Just an overnight sail away, Normandy has the weather to match and even better the best of an English summer, and of course, manages to deliver that with very French aplomb. 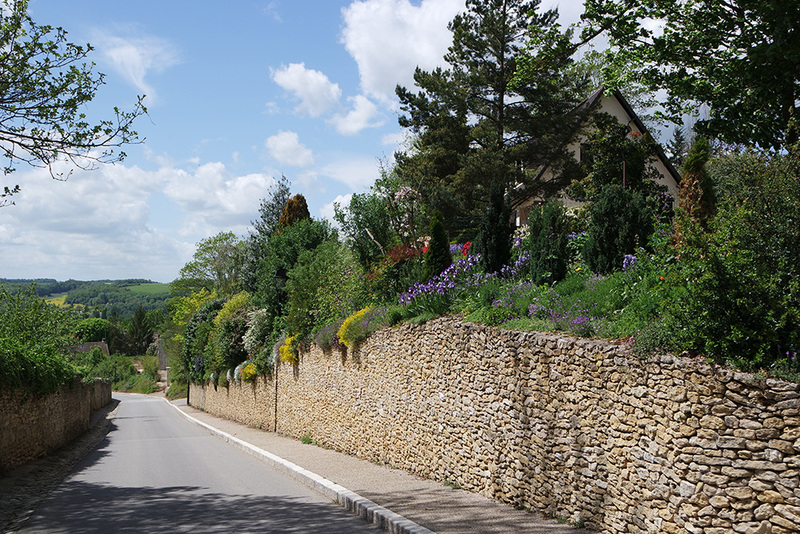 Its expansive beaches became the theatre of the D-Day landings but, its rural heartland is a far more tranquil retreat where you can ride through a landscape that is one of France’s great dairy ‘baskets’ and famous for its butter and cheeses. From the beautiful harbour of Honfleur, you might be very surprised just how close the pastoral landscape stretches towards Paris. Quiet lanes gently crossing tributaries of the River Seine, passing through timber-framed villages and, winding through the patchwork of plentiful fields, are laid out before you as if a secret gateway into the splendour of Paris. Our Paris by Pedal Power tour will quietly guide you through this verdant landscape from the sea to the steps of Notre-Dame, almost before you’d even realised the city was all around you. So near - so France. The Côte d’Opale is France on your doorstep for the UK. For centuries it has been in part a battleground ‘for and against’ the French, from World War II back in time to Azincourt. Now it is the nearest cyclists playground across the Channel. Easily overlooked by tourists heading to the cities and the south, this part of northern France has a dramatic coastline, intimate and intricate hidden valleys and, is a sanctuary for wildlife. The Bay of the Somme is one of the 33 locations in France which have been designated as a ‘Grand Site de France’; special areas which manage and sustain the beauty of the natural landscape in harmony with their exploration by passionate visitors. Our Baie de la Somme tour combines so much that this compact gem of France has to offer, from medieval walled towns, to chic resorts, along wild expansive beaches and, into a heartland with dramatic architectural splendour in the form of cathedrals and abbeys. In romantic visions of Brittany, there is something wild and separate about it when compared to most of France and, it bears an independent streak in so many cultural ways. It is the largest peninsula in France, with its western face staring out into the Atlantic and the Armorican Massif acting as a buffer to the rest of France on its eastern flank. In Roman times, it was believed to be the ‘the end of the earth’. Brittany is wrapped by a dramatic indented coastline with cliffs and beautiful beaches; in its centre is a complex of low rolling hills where the land has given us some of its great cultural icons, crepes, galettes and of course cider. The Atlantic Coast ride from our Length and Breadth grand tour of France wends its way across the peninsula, taking in Upper and Lower Brittany and, deftly charting a gentle course through three of its five departments. An opportunity to share in a not fully tamed glimpse of its wilder side. The Vendée is at the heart of France’s Atlantic Coast and is one of the most popular holiday destinations in the country. This is where the north begins to merge with the south of France; watch the temperatures rise and let the place of life slow just a little. 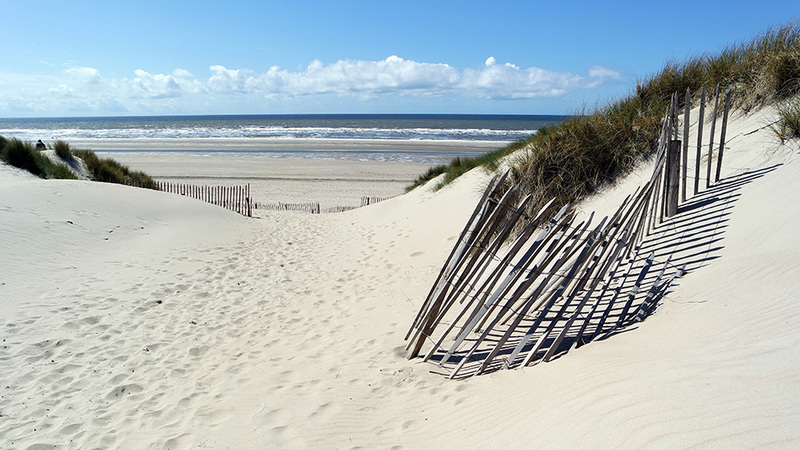 At either end of the Vendée are two special marshland zones which are linked along the coast by miles and miles of sandy beaches and quiet sandy forests. In the north there is the Marais Breton covering 45,000 hectares of canals, wet meadows and polders unique in France and, to the south the Marais Poitevin, 112,000 hectares of intertwined canals and countryside - one of the most beautiful areas of man-made landscape in France and, another of the specially designated Grand Site de France. 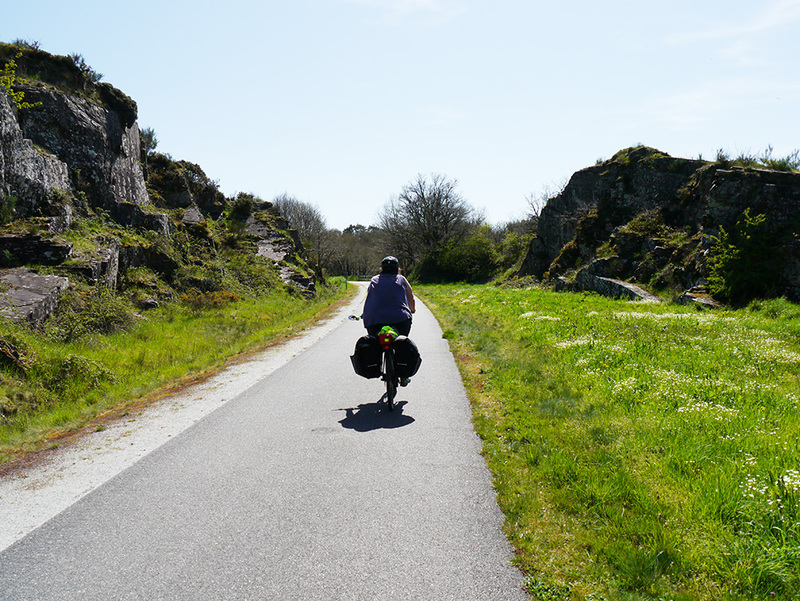 Vendée Velo claims the greatest concentration of cycle routes in France and, the Atlantic Coast ride from our Length and Breadth of France links a route through the Vendée and Brittany to complete a third of this grand tour. When this area of France was governed by the Angevin Empire through much of the Middle Ages, the vast production of wine it controlled and sold in England accounted for a significant proportion of the Crown’s national income. Crossing this part of France can easily be mapped by names which resonate with the fruit of its earth; Médoc, Entre Deux Mers, Graves and Armagnac. Fabulous coastal stretches give way to green slopes falling into rivers, great and small. And, when it comes to the built environment, there is Bordeaux ‘The Pearl of Aquitaine’ a wine capital for the world and, a UNESCO World Heritage Site in recognition of its historic architecture and, Toulouse ‘The Pink City’, named after its terracotta bricks and, also proud possessor of two World Heritage Sites. 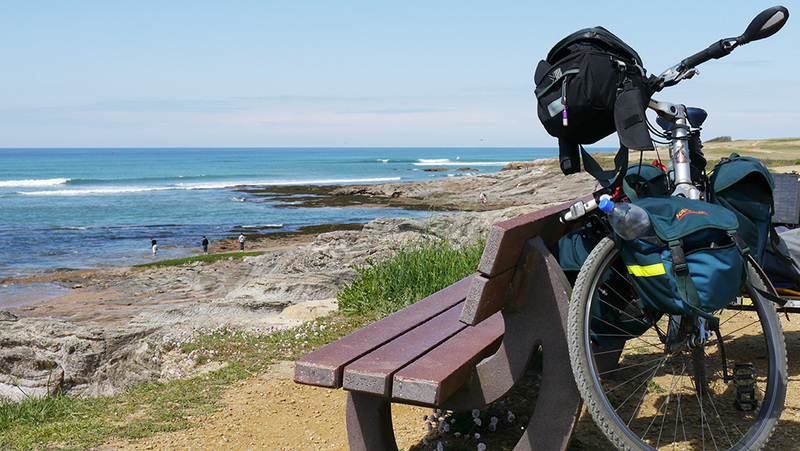 The Entre Deux Mers ride from our Length and Breadth grand tour of France can guide you through this wonderful region on a remarkably gentle ride which shares some of the Camino de Santiago pilgrimage (The Way of St James). Languedoc is both one of the historic provinces of France and, one of the names for Occitan (the language of the ‘Oc’) - it has no single written form but variations of it stretch from Catalonia to Provence. The old administrative centres were in Toulouse and Montpellier and, a more industrial umbilical cord remains today for cycling explorers in the form of the Canal du Midi. This industrial World Heritage Site cuts inland from the Mediterranean; long boardwalk-flanked sandy beaches, giving way to a more rural landscape producing the wines of Corbières and Minervois, through to the medieval majesty of Carcassonne (another World Heritage Site) and finally, arriving in the beautiful ‘Pink City’ of Toulouse. 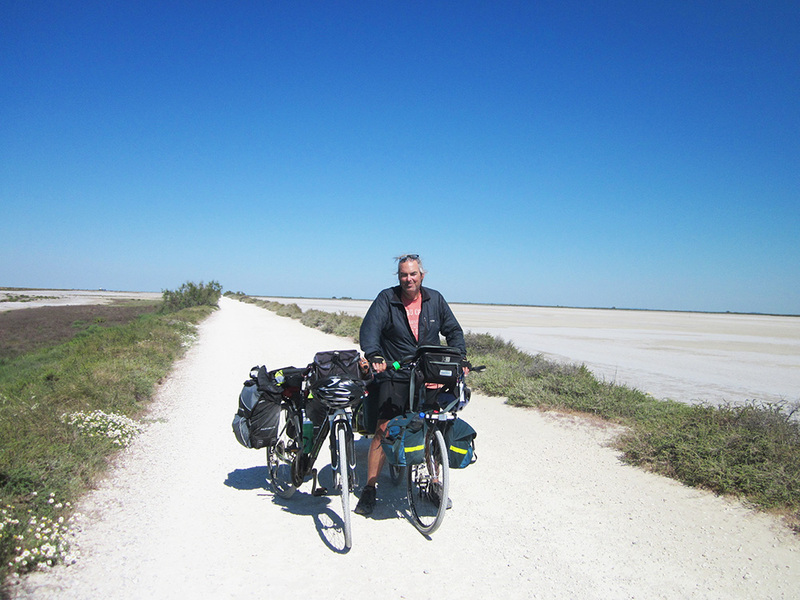 Neighbouring Languedoc to the east is the Camargue, a Grand Site de France and an internationally renowned wetland landscape, the heart of which can only be fully explored on foot or by cycle. 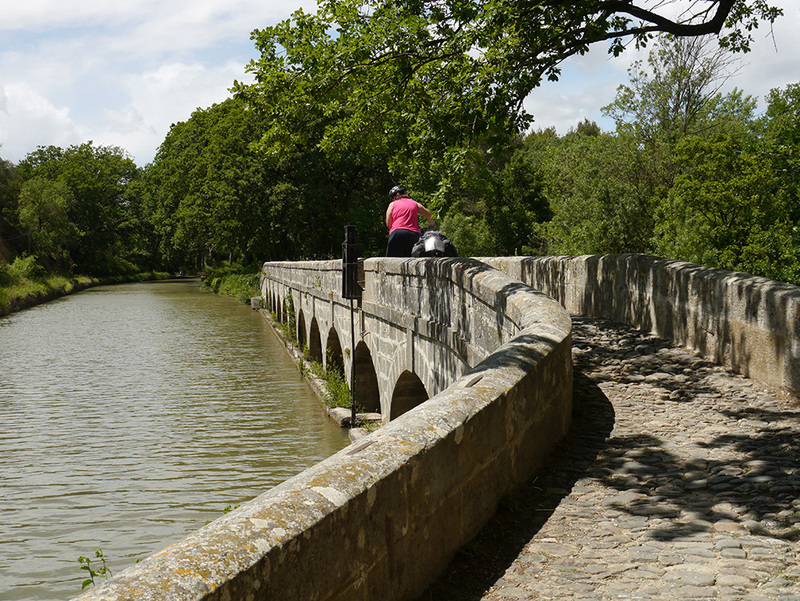 The Canal du Midi ride from our Length and Breadth grand tour of France lets you experience this amazingly varied landscape from the comfort of a saddle.